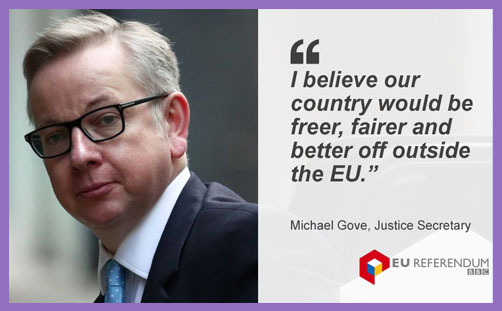 This statement on the EU Referendum by Michael Gove MP, Secretary of State for Justice, is unarguable. It is reproduced here in its entirety, without further comment, as it speaks eloquently for itself and the calibre of the man. This chance may never come again in our lifetimes, which is why I will be true to my principles and take the opportunity this referendum provides to leave an EU mired in the past and embrace a better future.